Juniper Creek provides a refreshing end to a tenacious ride. A few technicals are found on the Red Rock MBT. Red Rock MBT is a dense flat ride 7 mile ride with a steep incline near the middle and refreshing end at Juniper Creek. 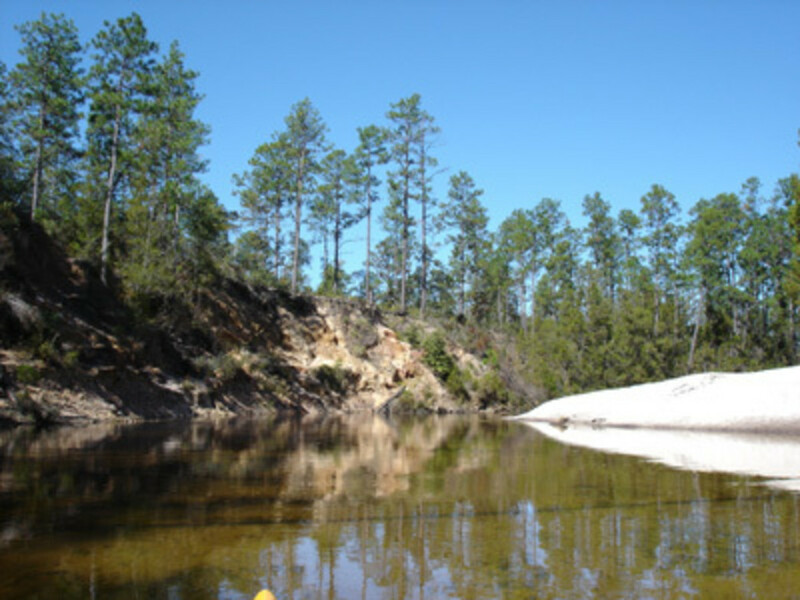 Near the Blackwater River State Park of Milton, Florida, is the 10 mile dirt singletrack through Juniper Creek primitive area. Red Rock Mountain Bike Trail is a dense flat ride with one steep incline and decline near the center. Settle in a primitive area, be prepared to deal with various forms of wildlife including bugs, venomous snakes and other such creatures. There is no restrooms are water stations so be prepared. This trail system is near the Blackwater Heritage State Trail which is a 7-mile paved path that does include a visitor’s center, restrooms, and water fountains. Red Rock MBT is still improving its trails and has much at its advantage to improve upon. The Red Rock Mountain Bike Trail is a distinct opportunity for both a road and off road experience. The Blackwater Heritage State Trail is an 8.1 mile paved trail which follows the historic Florida and Alabama Railroad and is part of the American Trails system. Together with the road rides, you can get a good day’s work of cycling. This trail begins and ends at Juniper Creek, which could offer a good alternative to cooling down. 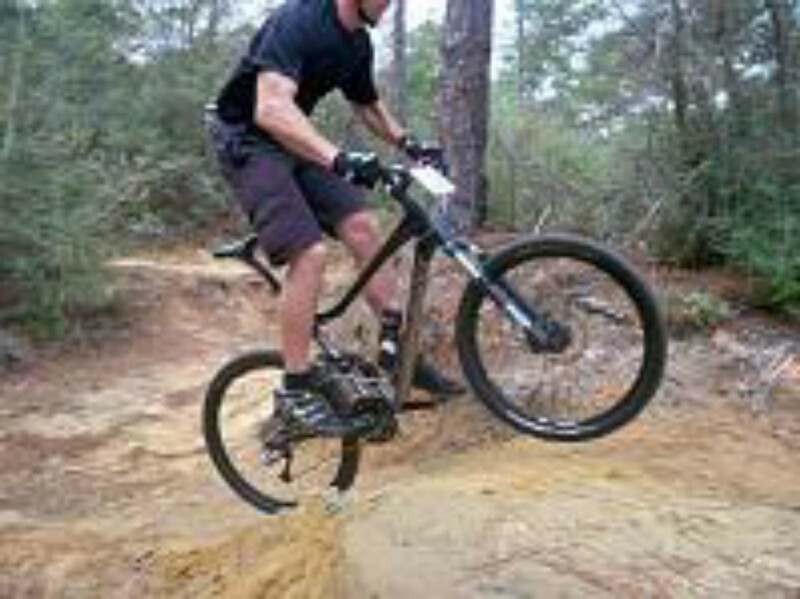 Pensacola Off-Road Cyclists Club, (PORC), have been working to improve the area. This trail does not include many technical areas but can be tenacious. The Serpentine trail, middle part of the loop, will require the most work. Because of the locality, the humidity will add extra resistance. If you are a beginner, the first two parts of the loop, Lupine and Junebug, are considered beginning level. Porc Chop turns the tables and leads to the Serpentine. Juniper Creek is a big asset for this trail system. You might think that this trail would be good for beginners because it is mostly a flat course, but rather it is best for intermediates. The terrain is a bit relentless and deceptive in the amount of skill it takes to complete this course. From Milton at the intersection of Hwy 90 and Stewart St. go North on Stewart St. to Hwy 191. Turn right onto Hwy 191 and go for 11.3 miles to Red Rock Road. Turn right onto Red Rock Road and go about 3 miles to Juniper Creek. Parking is in gravel lot, no fees. IMBA “Rules of the Trail,” Ride on open trails only, Leave no Trace policy, No tampering with wildlife. No ATV’s or horses.